Creating a healthier smile means eliminating tooth decay and repairing teeth that have been damaged due to oral infections or trauma. Everyone’s smile story is different, and so are our restorative services. Our skilled team our and access to dental technology allows us to offer many treatments that are not available in a traditional dental practice. We truly believe that making modest investments in this technology allows us to better serve our patients and provide the one-on-one dental care that you expect. We rebuild smiles one tooth at a time with some of the following techniques listed below. Consult with our North Woodbridge Dentists today! Tooth-coloured composite fillings not only look beautiful, they also require less tooth preparation. 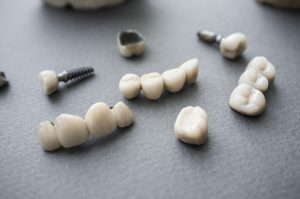 The material can be placed on any tooth surface, making it easier to restore smaller or irregular lesions of the teeth. We colour-match every white filling so that it blends in with your tooth enamel, both repairing the tooth and improving how it looks. Full-coverage crowns help extend the life of severely compromised teeth or teeth that have been treated endodontically. 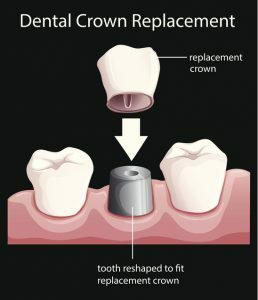 We use CEREC technology, which allows you to have your entire crown treatment completed in one sitting. If you’ve lost a tooth, our multiple-tooth dental bridges can be placed in the area of concern, replacing one or two missing teeth at a time. All of our crown and bridgework is colour-matched to your smile for a functional yet aesthetic result.